TVS has brought one of its ace bikes into the market with the concept of a beast. The new Apache RTR 160 hyper edge was arrived at after mending and sculpting out the body of the previous hyper edge version. The body has got an all new design where a stripe extends from rear seat cowl to the tip of front fender. The stripe also decorates the seat cowl at rear and the under tank cowl at front. One of the major highlights of this new bike is its pilot lamps at the front that can light the front look of the beast anytime of a day. The instrumentation with the digital display is also given a fine design edge to impress the rider. 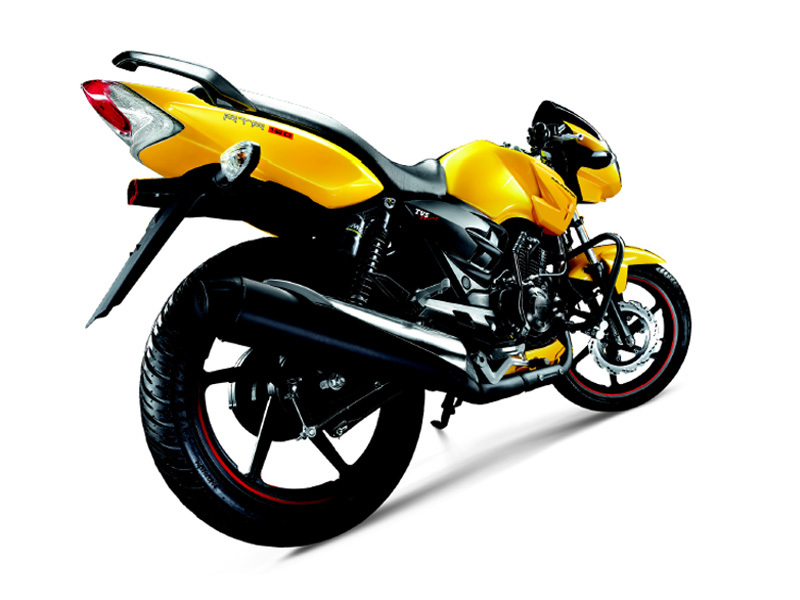 TVS Apache RTR 160 Hyper Edge bikes swift their presence on the road from a 159.7 cc four stroke engine. The black coated air cooled engine delivers a maximum of 13.1 Nm torque at 6000 rpm. This torque coupled with a light body and gear ratios can give rapid acceleration rate to the bike until speeds of around 60-80 kms/hr. The engine gives out a maximum power of 15.2 bhp and this is got at 8500 rpm. This is one of the reasons for high top end speed of the bike of about 120 km/hr. The New TVS Apache RTR 160 Hyper Edge has come out with some changes to the outlook of the bike. The under tank cowl is modified and the length and width of the cover is extended towards the front with a sharp end at the front. It now has the name of Apache on it and the company claims that the design of this cowl reduces the heat of the engine by 10 degree Celsius and hence increasing fuel efficiency. A spoiler as an undercover to transmission assembly has the title hyper edge and is designed in a manner to vary the air flow and increase the aerodynamic property of the vehicle. The seat is redesigned for better comfort and the graphics on the seat cowl has been changed. The side panel design is also varied and this goes along with the seat and seat cowl design. The light weight sporty body of Apache hyper edge with many aerodynamic aspects of design and a 160 cc engine that releases high output power is made for the quickies. The bike is fit with petal shaped discs at both front and rear wheels. The petal shape ensures quicker heat dissipation and hence an effective braking and long lasting braking system. The width of rear wheel is slightly higher than that of the front with a lesser aspect ratio meaning the thickness to be slightly less compared to front. The rear shocks have a gas filled tube which takes the shocks and damps it to provide better comfort and handling of the bike. 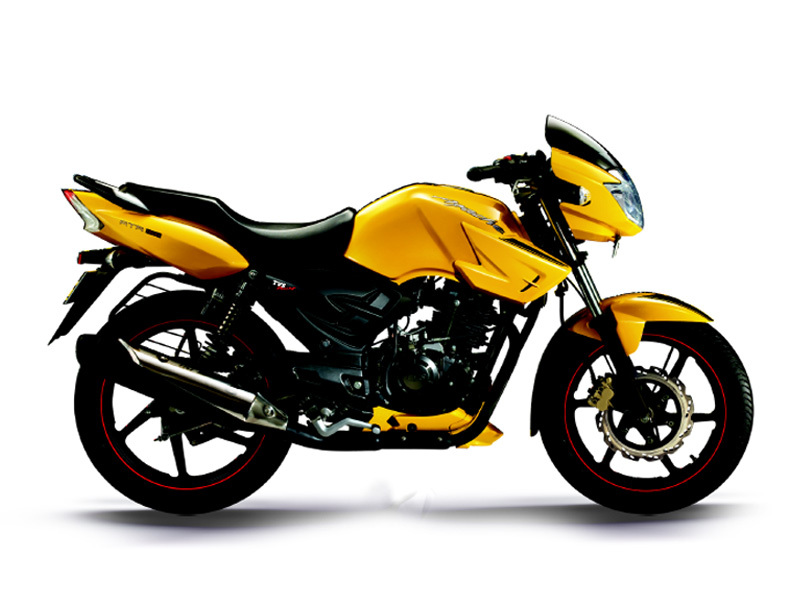 The mileage of Apache RTR 160 hyper edge is expected to be 40 to 45 kms per litre of petrol. 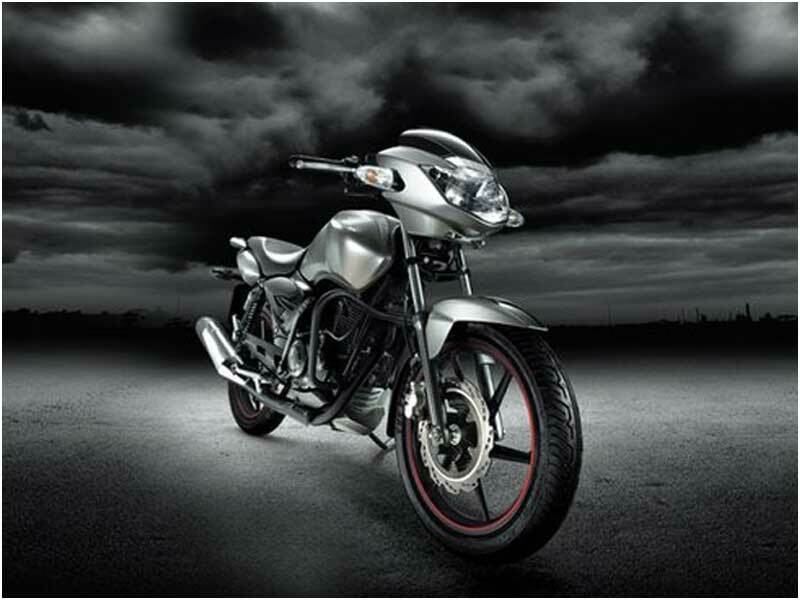 Apache RTR 160 is available in Red, Grey, Green and Black colour variants. The bike is also available with 180 cc engine. In the 180 cc segment the bike has two variants depending on the presence of Antilock Braking System. The price of this bike in India is approximately Rs 75,000 under applicable conditions.